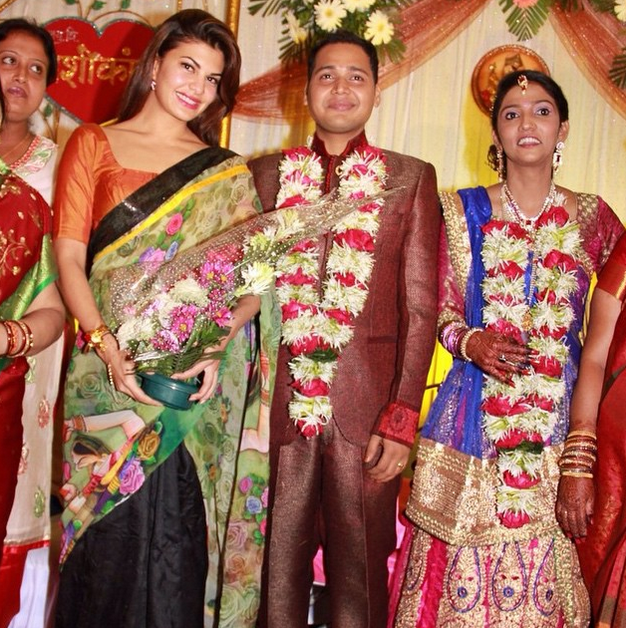 Jacqueline Fernandez attended personal assistant's nephews wedding. She wore a very interesting sari but the blouse seemed completely off- both in color and fit. She could have made the same sari work much better.